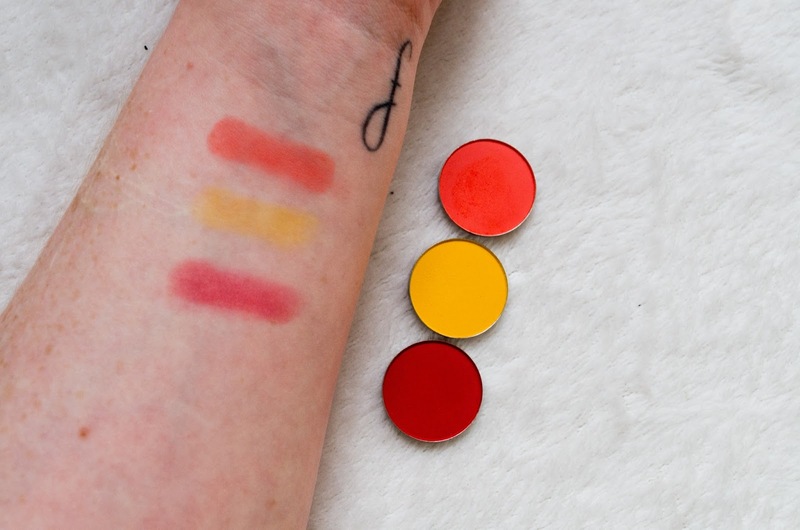 If you follow me on Snapchat, you may know that I've been looking for a good red eyeshadow for a veeeeeerrry long time - I really wanted to get my hands on Suva Beauty shadow in Bloody Mary but it's been either out of stock or crazy expensive shipping so I let that one pass. 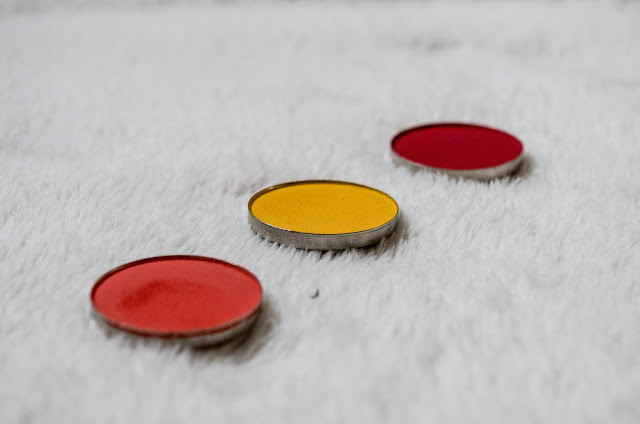 BUT THEN! 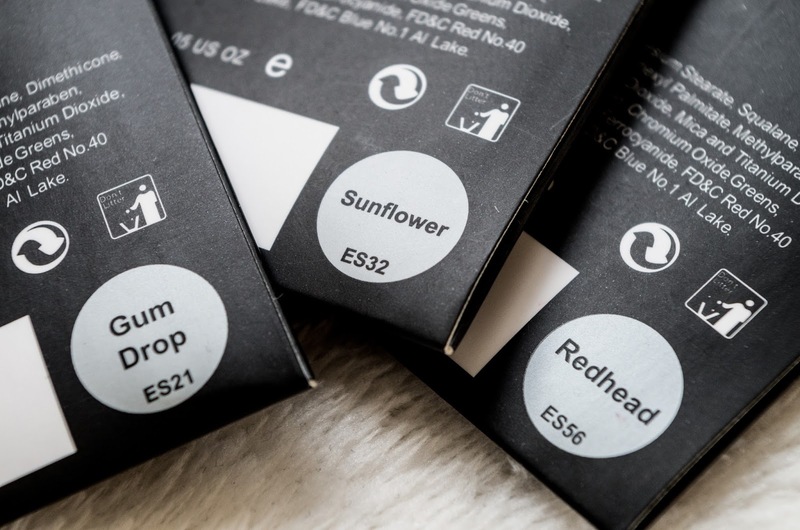 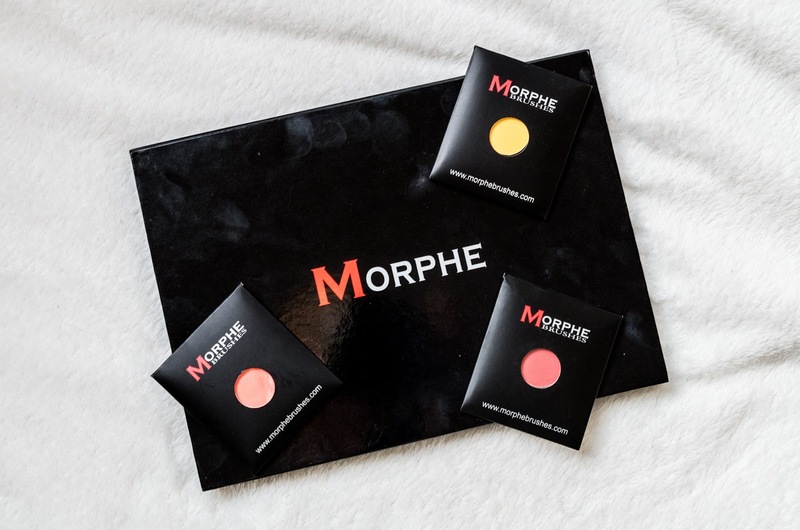 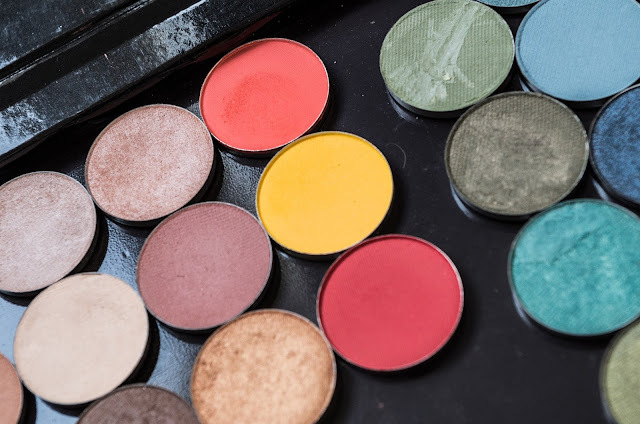 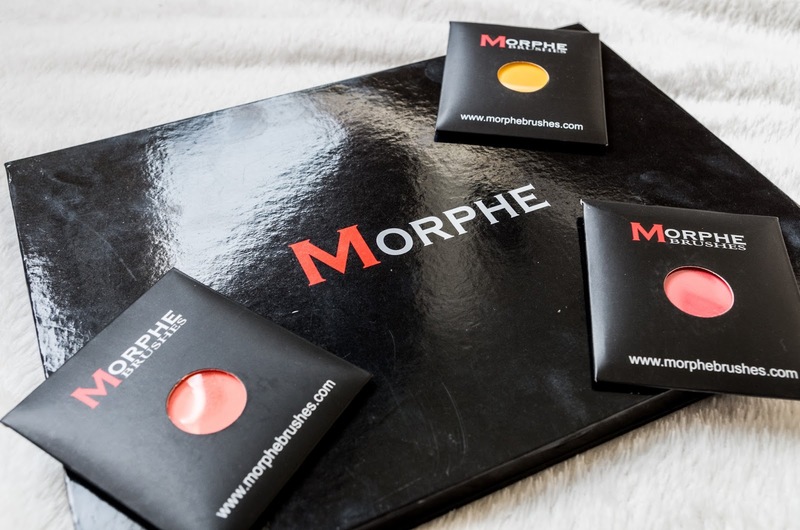 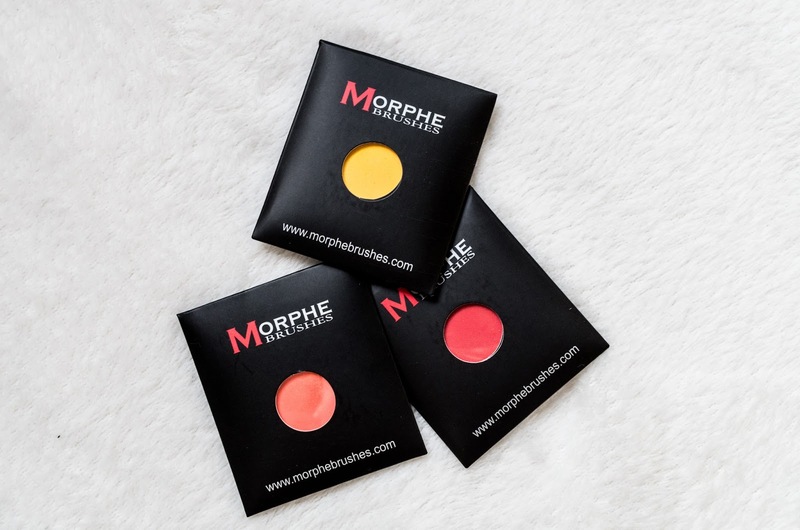 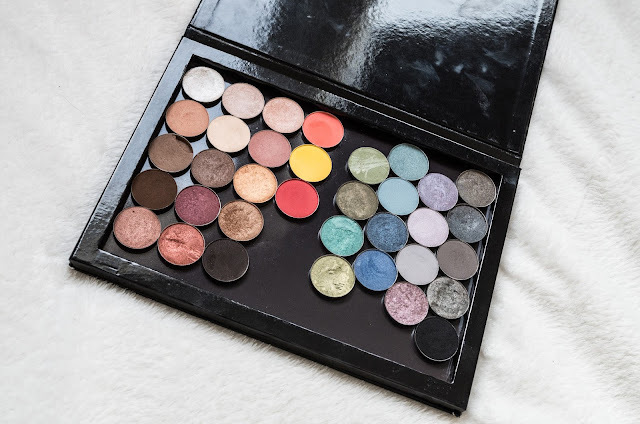 I found a website - cocktailcosmetics.com - that had these Morphe shadows at a verrrry reasonable price, and shipping wasn't too crazy (probably because it's English and I live in England so maybe actually this won't be that great for Irish people but bear with me anyway). 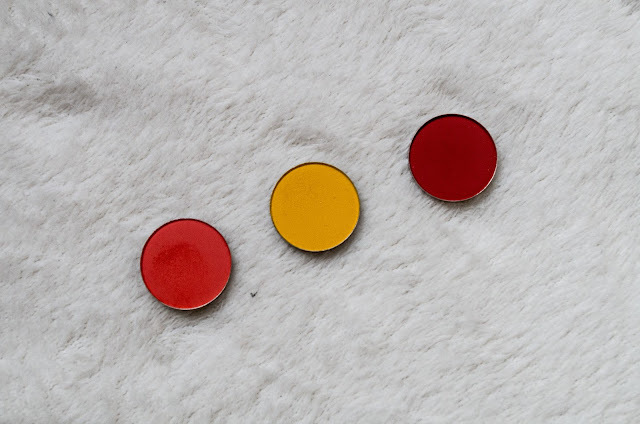 I ordered three shadows to try them out in colours I've been wanting sooo bad for ages - orange, yellow and red. 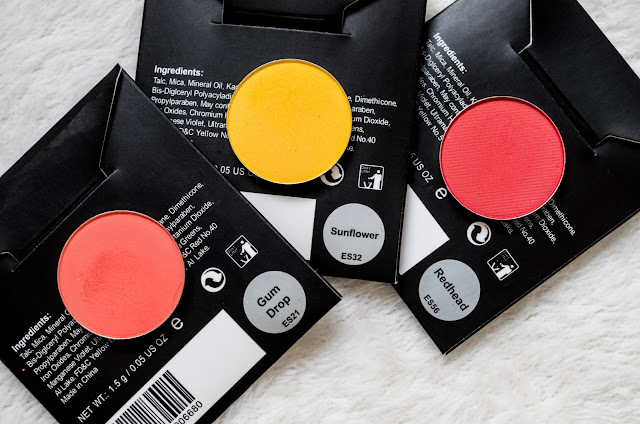 I got the shades Gumdrop, Sunflower and Redhead and I am smitten - they are amazing! Really pigmented and nice and bright, and exactly the colours I had been looking for (though I'd still love that Bloody Mary - maybe someday!)! I love the individual pans as they are so handy and you can just pop them into your palettes yourself - mine is full of Fuschia shadows and just these three are Morphe for the moment.But I'm preeeeeetty sure it'll be filling up very quickly after this good review!